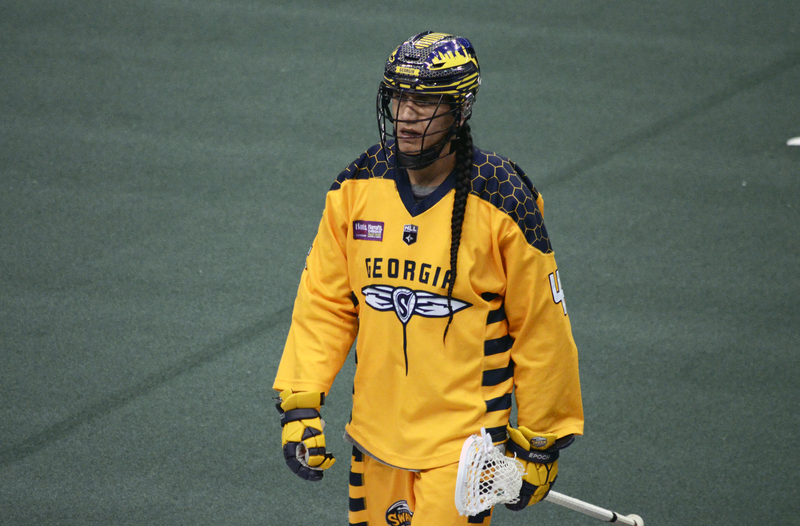 The Georgia Swarm took their second loss of the season, and weekend, on Saturday night as they were defeated by the New England Black Wolves 13-12 at Mohegan Sun Arena. The Swarm also lost Friday night 14-9 in Toronto. The Swarm were in first place but after the dust settled on the weekend, they find themselves in fourth place in the East Division. The Black Wolves are third. Saturday’s clash was a shootout as both sides traded goals for most of the game. Stephan Leblanc scored for the Black Wolves just 37 seconds into the game. Georgia quickly answered as Randy Staats tied it 58 seconds later. It was a very back-and-forth game with Georgia holding a one goal, 4-3 lead at the end of the first quarter. The second was much of the same as neither team was able to get on a run. After a lot of early offense in the second there was about a four minute defensive stand on both sides. Both squads scored late in the second to make it an even 6-6 tie heading into the half. Special teams were key as Georgia went 4/6 on the power play with one shorthanded goal. New England went 4/5. The third quarter was very exciting as 10 were scored between the two teams. After some back-and-forth action New England would go on a two-goal run with Seth Oakes and Andrew Suitor scoring to give New England a 9-8 lead with 4:46 left in the quarter. Georgia responded with a two-goal run of their own to take a 10-9 lead late in the third. A late three-goal run for New England would give them a 12-10 lead heading into the fourth. It was a slow and very defensive-heavy fourth quarter. Lyle Thompson scored in the first minute to trim New England’s lead to one. After a long scoring drought on both sides Thompson scored his fourth of the game to tie it up at 12 with just five minutes left in the fourth. Tyler Digby potted the winner late in the fourth – on a power play – to secure the 13-12 win for New England. Callum Crawford and Tyler Digby led the way for New England on offense. Crawford tallied six points (3G/3A) while Digby put up five (2G/3A). Stephan Leblanc and Ryan Fournier each had two goals as well. Dylan Brock helped lead the Black Wolves’ defense as he scooped up five loose balls and had two caused turnovers. Georgia was led by Randy Staats who put up (3G/4A) and Lyle Thompson with (4G/1A). Miles Thompson and Holden Cattoni also helped lead the way. Thompson had five points (2G/3A) while Cattoni tallied one goal and three assists. Alex Crepinsek helped lead the Swarm’s defense with four loose balls and two caused turnovers. Mike Poulin made 41 saves for Georgia while Alex Buque made 37 saves for New England. The next game for both squads will be home contests on January 27th. Georgia will welcome the Saskatchewan Rush and New England will host the Buffalo Bandits.